Winter is approaching and, with it, all the difficult weather conditions that often apply. 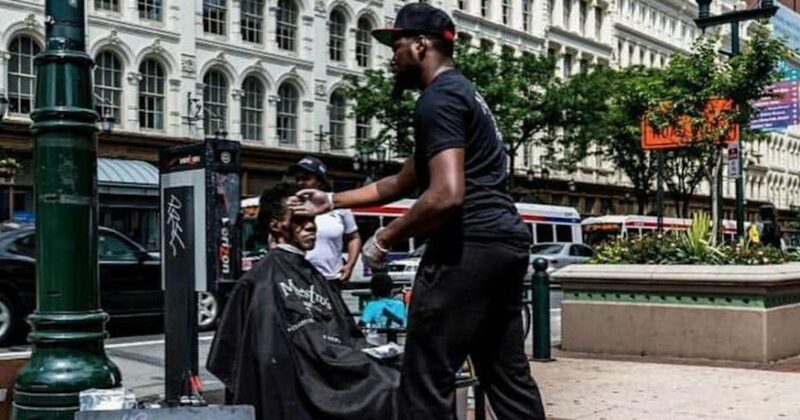 Because of that, one kindhearted Philadelphia man thought that he would have to temporarily give up his mission of giving free haircuts to the homeless—that is, until one equally kindhearted stranger stepped in and gave him a relatively new barbershop. For free. According to WTXF-TV, Sean Johnson heard about Brennon Jones’ widely publicized haircut mission and decided he wanted to be a part of the “Haircuts 4 the Homeless” operation.